After every 30 compressions, open the airway and give two rescue breaths. If you can give breaths, you will help the victim even more. To give breaths you must first open the airway and ensure there are no obstructions. The tongue is the most common obstruction. If you see any foreign object and it can be removed easily, remove it. Perform the head-tilt chin-lift motion: Tilt the head and pinch the nose with the same hand. 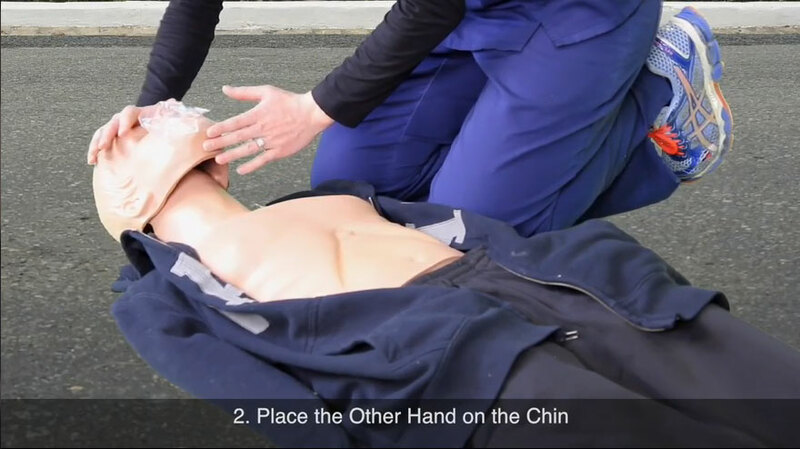 With the other hand lift the chin - this will open up the airway. Hold open the airway, pinch the nose, and blow air into the mouth. Be sure to place your mouth tightly over the victim’s mouth; use a barrier if available. Give 2 breaths that last one (1) second each. Ensure that the chest rises and falls between each breath. If the breaths you give do not go in, continue to give chest compressions following the same 30:2 ratio until the breaths go in. Do not interrupt compressions for more than 10 seconds. Continue to give sets of 30 chest compressions and 2 rescue breaths, with at least 100 to 120 compressions per minute until an AED or EMS arrives, or the person starts to breathe (shows signs of life). 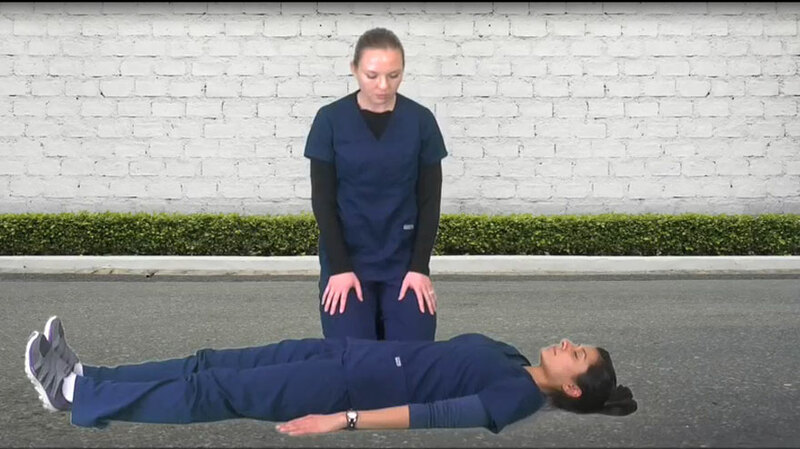 If a person begins to breathe, roll him/her to their side in a recovery position until EMS arrives. When in recovery position, vomit and other fluids will drain from the mouth. While moving the person take special care of the neck, head and back.